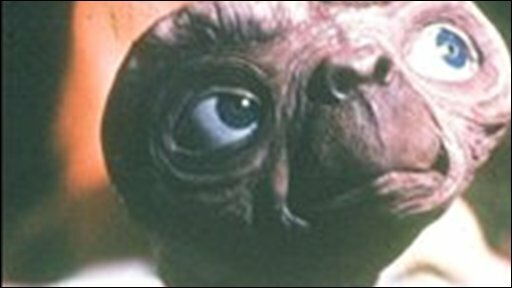 Steven Spielberg film ET: The Extra-Terrestrial was a better film than Gandhi and should have won more Oscars, its director Richard Attenborough says. His biopic about Indian independence leader Mahatma Gandhi won eight awards, including best director and picture, at 1983's Oscars compared with ET's four. Lord Attenborough told BBC Radio Five Live Gandhi was a wonderful story "because it's about a wonderful man". ET was "extraordinary" as it "depended on the concept of cinema," he added. In an interview with presenter Simon Mayo, Lord Attenborough said ET was "an infinitely more creative and fundamental piece of cinema" than Gandhi. He added: "[Business partner] Diana and I went to see ET in Los Angeles shortly before all the awards and we used language, when we came out, to the extent of saying 'we have no chance - ET should and will walk away with it'." He added: "Without the initial premise of Mahatma Gandhi, the film would be nothing. Therefore it's a narrative film but it's a piece of narration rather than a piece of cinema, as such. "ET depended absolutely on the concept of cinema and I think that Steven Spielberg, who I'm very fond of, is a genius. "I think ET is a quite extraordinary piece of cinema." 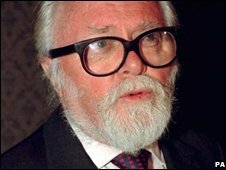 Lord Attenborough said the standing ovation he received at the 1983 Academy Awards was a career highlight. "I had difficulty speaking in that I was, what is known as, choked up a bit." The Oscar wins for Gandhi included best actor for Sir Ben Kingsley and best screenplay for writer John Briley. ET's four awards, meanwhile, were in less high-profile categories including best sound and best visual effects. ET - starring Henry Thomas as Elliott alongside a young Drew Barrymore - tells the endearing story of a cute alien who befriends an American boy.